Sunshine Kelly | Beauty . Fashion . Lifestyle . Travel . Fitness: What is a Good Diet Plan? Food is one of the critical elements and the necessities of life. The way one consumes food becomes a critical determinant of their health. Consuming foods inappropriately lead to unhealthy lifestyles while leading to diseases and conditions such as obesity. Nutritionists advocate for persons intending to live a healthy lifestyle to observe strict discipline as far as food consumption is concerned. Maintaining a healthy diet, thereby requires appropriate prior planning on one's daily menu as well as a critical balance of the ingredients utilized to compose the food that one consumes. Nutritionists also advocate for dietary discipline where one regulates the rate at which an individual feeds. Gary Preacher from the official HCG Diet site explains that there are hundreds of recipes available that will allow you to adhere to the strict diet plan that is required. 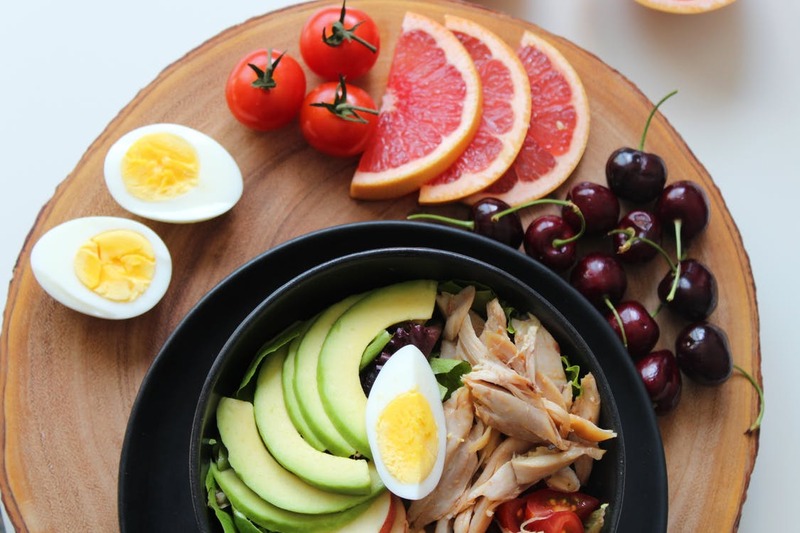 Although the composition of a good diet plan varies from one’s nutritional perspective to another, scientists agree that they are key healthy tips that when adhered to ensure that one's diet is good enough to maintain a healthy lifestyle. A good diet plan should appropriately regulate the type and variety of food that one consumes on an average day. The composition of a daily eating routine is critical in determining an individual's health. Different varieties of foods and food ingredients offer different levels of benefits to the body. Maintaining such a balance is important as it ensures that the body is equally capable of achieving body growth, maintaining strength, and enabling disease-fighting capabilities as it should. When it comes to a good diet, regulating the amount of food that one consumes as well as the actual dietary composition of the said food is important. Maintaining good standard portions of food involves controlling the level of calories consumed, the amount of proteins, carbohydrates, fats, as well as mineral elements contained within the food consumed. Overeating of either of these dietary compositions can destabilize an individual's health while leading to certain diseases. Failure to maintain a healthy dietary balance of the standard portions can also lead to nutritional deficiencies which in turn lead to diseases and conditions. Fresh farm produce, especially vegetables and fruits are a good ingredient that helps an individual's health to maintain its stability. Greens produced straight from the farm impart nutritional benefits to the body, including providing fresh fiber, but helps in the maintenance one's gastrointestinal health. When eating fresh produce, one should also maintain a healthy balance between green, red, orange, yellow, and purple produce as research has proven that they all contribute different health benefits to the body. A healthy diet should also be composed of whole grains, which in most cases serve to supply the body with the appropriate levels of fiber. Whole grains also help impart the body with some nutritional benefits that are only found in farm produce that contain germ and cotyledons. Refined carbohydrates such as sugar and white bread and other snacks such as pasta should be highly regulated in terms of the portions consumed. In most instances, such refined foods offer a little dietary benefit to the body, especially since the fiber is normally deliberately limited and sometimes entirely absent. Purified foods with carbohydrates such as sugar can also be potentially hazardous to the body, especially in cases where they are consumed uncontrollably. Most carbohydrates-based foods normally have additional risks of potentially contributing to an individual's weight gain. This is because the sugars get converted into fat, which in turn gets deposited under the skin. Fatty fish and nuts are regarded as highly nutritionally beneficial to the body since they contain potentially rare oils that are highly essential to the body. Fish, in particular, is very helpful in helping the fight against body diseases and conditions caused by lack of certain omega unsaturated fats. Eating good sizes and portions of fish per week ensures that the body is appropriately replenished with such unsaturated fats while the nuts provide the body with fresh extracts of vegetable and nut oils and fats. Animal fats, especially cow and goat, often contain saturated fats which are nutritionally classified as contributors of cholesterol in the body. Although one should take such foods from time to time, their consumption should be highly regulated to keep away the potentially unhealthy saturated fat. White meat such as chicken meat and fish should be often consumed as an alternative to red meat. Dairy foods and products such as milk, yogurt, and cheese are highly beneficial to the body. Pure milk, for instance, imparts the body with various nutritional constituents such as proteins, calcium, minerals, and vitamins. Fermented dairy products such as yoghurt contain healthy microbes that help improve the body’s gastrointestinal health. Besides, the dairy probiotics also help the body to maintain a healthy balance of helpful bacteria in the body. Nutritionists advocate for one to take about 200ml of dairy products per day. Although alcohol is rarely considered as part of essential food and diet, people often consume it after meals. Nutritionists highly advocate for moderation as far as alcohol consumption is concerned. This implies regulating the potions that one consumes as a way of controlling the adverse health effects that go with indulgence in alcohol. It is advisable to drink about 12 ounces of beer, 5 ounces of wine, and one and a half ounces of spirits. It has been established that consuming regulated levels of alcohol benefits the body by helping maintain gastrointestinal health. Most people tend to prefer buying ready-made food to cooking their own, especially given the busy schedules that people may be exposed to. Preparing your own foods in your kitchen gives you an opportunity to regulate your portions and what goes into the food in the form of ingredients. It is, therefore, the most appropriate way of ensuring that you stick to your diet plan. Buying already cooked food may be a quick alternative to cooking your own, but comes with some significant dietary risks as it may lead to individuals breaking their healthy diet routine. In most cases, food joints do not observe strict dietary regulations and would, therefore, expose an individual to unhealthy foods. It is, therefore, highly advisable to ensure that you only consume that which you prepare on your own as it gives you an opportunity to keep your food composition in check.